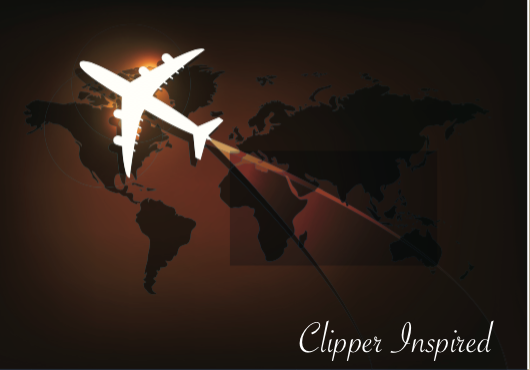 Clipper Inspired is a media project covering travel. I was inspired by two things: vintage travel posters to locations such as: Rio, Hong Kong, and Paris. Clippers were Pan Am flights to different destinations around the world, a feeling of adventure combined with the experience of getting there. The second inspiration came in the form an Aunt who packed up to travel to Africa in the 1970’s. One day she announced, “I am packing my bags, flying to the Ivory Coast to explore Western Africa. See you in a year.” Off she went, alone, traveled on Pan Am. The questions covered: Where to eat? Where to go? Where to shop? What to do? How to go? When to go? An original podcast and webcast featuring travel locations of all sizes. Stay Tuned. Separator image Posted in Travel and tagged with adventure, airlines, BeyerDynamic, content, Holiday, ispiring, podcast, travel, travel addict, traveler, Vacation, webcast.